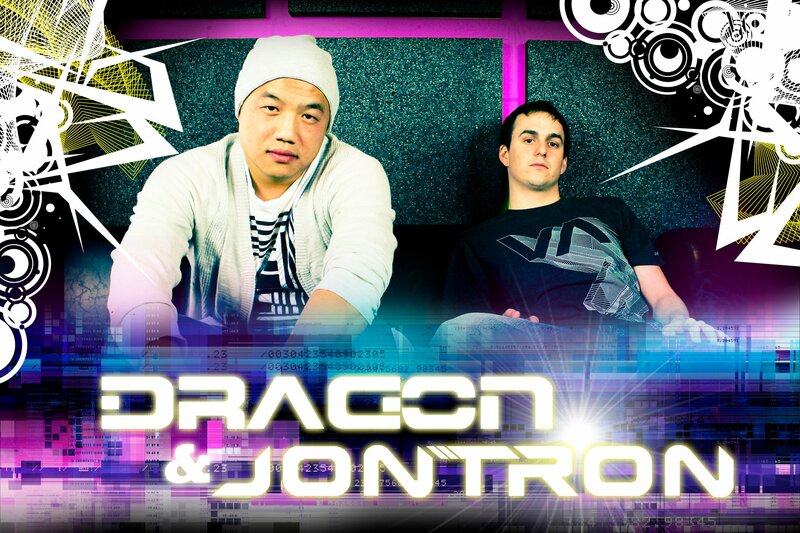 Combining talents in the Spring of 2010, Dragon and Jontron haven’t taken long to make a splash in the dance music world. The duo are responsible for prolific remixes for some of the most respected artists in the scene including: Tiesto, Kaskade, BT, Jes, Afrojack, and La Roux to name a few. Their productions have been released on such powerhouse labels as Ultra, Nervous, Black Hole, Magik Musik, PBR, Plasmapool and many more. As artists, their talents transcend the studio work that has brought them international acclaim. Both are also residents of Beta Nightclub in Denver, the #1 club in North America. Playing a combination of progressive, electro and the special Dragon & Jontron sound, they’ve managed to successfully fuse their talents in the studio with their keen ability to rock a dance floor.